This morning over 130 men were served up a message of inspiration from Ruben Wiki at the Men’s White Ribbon Breakfast who challenged them to never commit, condone or remain silent about violence. It’s White Ribbon Day today (November 25) when men around the world are encouraged to stand up against violence toward women and children. 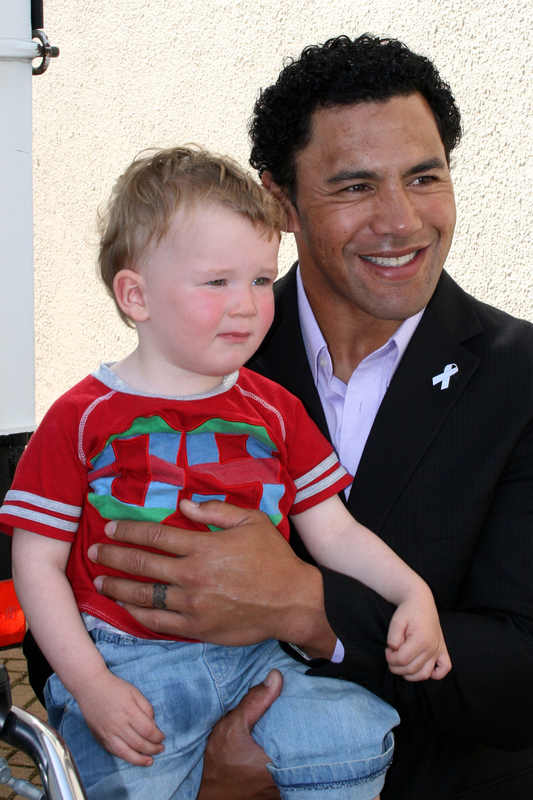 The men’s breakfast is one of several White Ribbon activities organised by the Families Commission to get men involved with the anti violence message. A range of inspirational speakers underscored the message that men need to lead by example if violence against women and children is to be eliminated. As a child of ten, Ruben was a witness to family violence when his mother was assaulted by her boyfriend. “I can still remember that feeling of helplessness, the hurt and the anger. I had a young siblings and I had to protect her while I watched and listened as a grown man left my mother with bruises and black eyes,” says Ruben. “I resolved very early on in my life not to follow that path. You often hear about the circle of violence. A boy who was beaten that grows up and becomes the abuser. I don’t pretend to be the perfect person, but I didn’t follow that road, and that’s one of my proudest achievements. “I resolved to support this campaign as it doesn’t name and shame. It offers support to those who are abusers, and it asks men who witness violence to offer support. “Change won’t come quickly. I can remember when wearing a seatbelt became the law. It took 15 years for us to make it click. Violence is so much more complicated than that. It will take years or even generations. “At the White Ribbon Breakfast, I asked each man to make a difference; at home, at business or in a social environment. My challenge to them was to sign up to a pledge to never commit, condone or remain silent about violence.